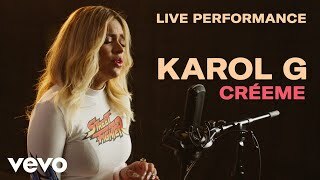 Born in Medellin, Colombia, Karol G found a love of music at an early age when she began performing in school productions and regional music festivals. By the time she was a teenager, her dedication to a life in music was clear as she made her first national TV appearance and went on to study music and vocal techniques at the Universidad de Antioquia in Medellin. 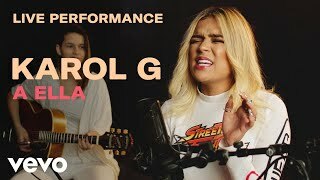 By 2012 Karol G achieved her first number one hit with the song â€œ301â€� which sparked tours across her native Colombia and in countries such as Venezuela, Uruguay, Panama, The United States, Ecuador and more. 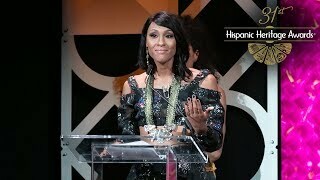 Past Honorees include: Anthony Quinn, Alejandro Sanz, Ricky Martin, Gloria and Emilio Estefan, Placido Domingo, Isabel Allende, Juan Luis Guerra, Zoe Saldana, Juanes, US Reps Ileana Ros Lehtinen and Xavier Becerra, Oscar de la Hoya, Mana, Rosario Dawson, Los Tigres Del Norte, America Ferrera, Olga TaÃ±on, Pedro Martinez, Arturo Sandoval, Eva Longoria, Antonio Banderas, Pepe Aguilar, Carlos Vives, and Rita Moreno, Luis Fonsi, Gael Garcia Bernal, to name a few. The Awards serve as a launch of HHFâ€™s year-round award-winning programs which inspire, identify, prepare and position Latino leaders in the classroom, community and workforce to meet Americaâ€™s priorities. HHF is a 501(c)(3) nonprofit organization.